This May sees the return of CLUSTER, a pop up craft fair showcasing independant makers, illustrators and artists. Pop along to this free event to support these makers, as well as picking up a gift or two on the way through. Back again for a summer show, this time in Haggerston, London, Modern Shows bring us Midcentury East. A fair full of dealers of gorgeous furniture, lighting and accessories. Another great date for the diary. If you’re a fan of midcentury design, homeware and furniture then this is a must. To bring interest and a bit of a unique edge to your interiors, it’s great to browse antique fairs and vintage markets for furniture, ceramics, lighting and accessories. 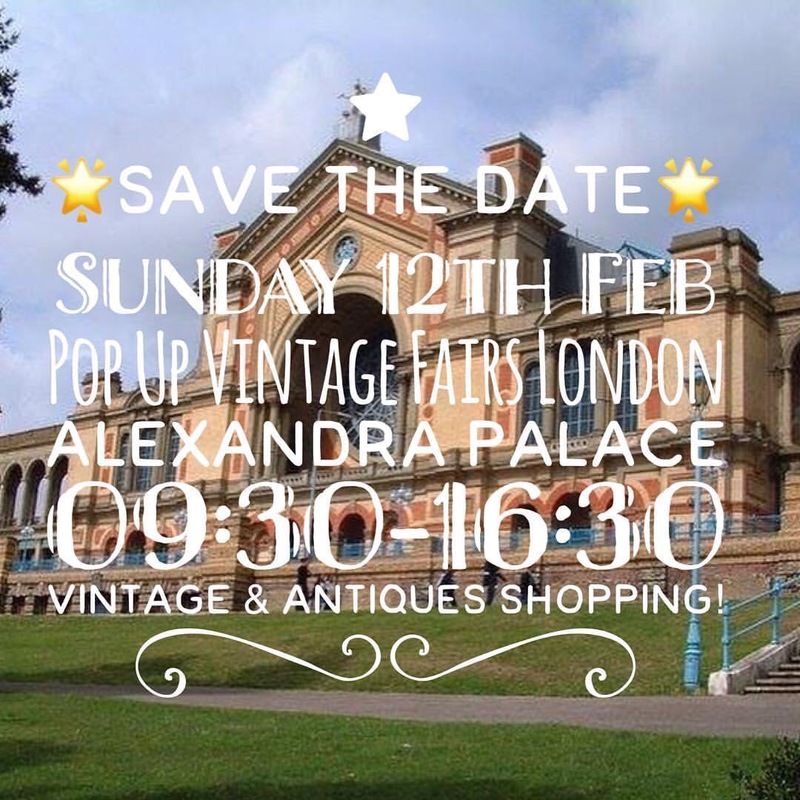 With over 300 stalls under one roof the Alexandra Palace Antiques and Vintage fair attracts people from across London and the surrounding area because of its wealth of choice and quality in shopping. With Pop Up Vintage Fairs also now being a part of the event there’s even more stall holders offering midcentury, retro and vintage goods – so on-trend and what’s better than modern copies – the originals! The next event is Sunday February 12th and then three more times spread across the year. 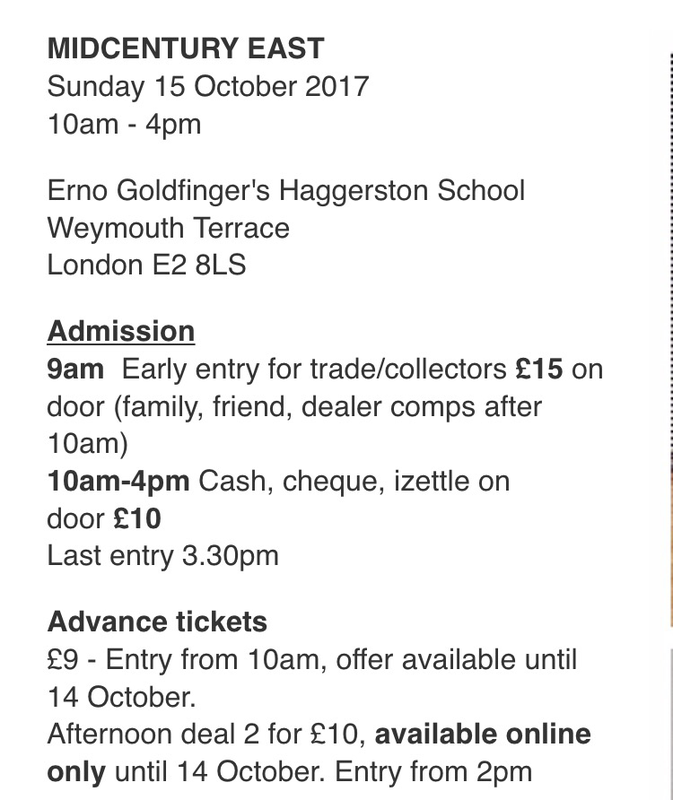 Parking is free and entry is £6 but there’s often ways to get 2-for-1 entry, especially if you follow Pop Up Vintage Fairs on Facebook.